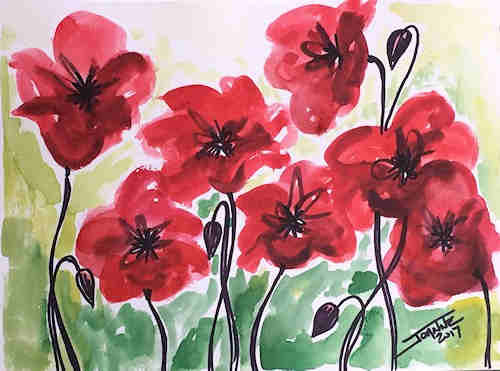 Lovely, breezy field of poppies using Pen & Wash techniques. Wonderful for Remembrance Day or simply as beautiful flowers. 3 STARS out of 5 difficulty rating.